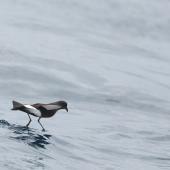 Geographical variation: Three recognised subspecies, with O.o. 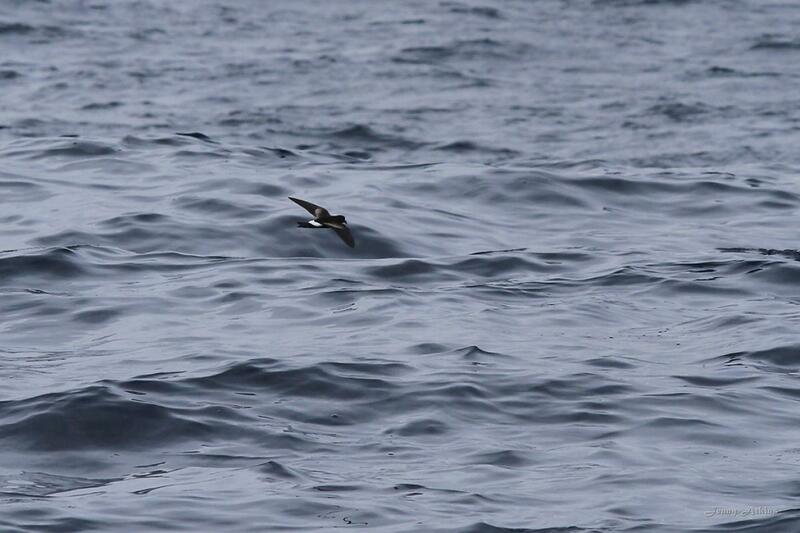 exasperatus a passage migrant through New Zealand waters. 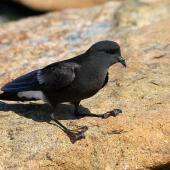 Wilson’s storm petrel is a small black-and-white seabird that breeds around the Antarctic coast in very large numbers. 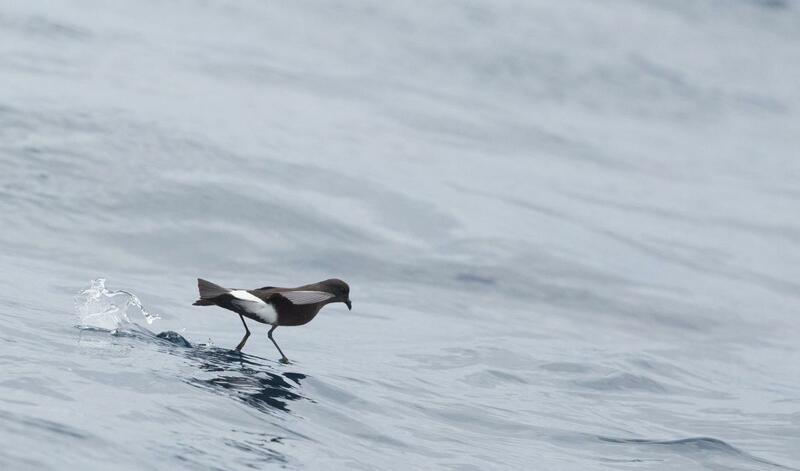 They pass through New Zealand waters twice a year on migration to and from non-breeding feeding areas in the tropical and north temperate Pacific Ocean. 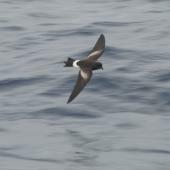 Most birds stay well offshore, and up until 1990 they were regarded as rare stragglers, with about 40 New Zealand records. 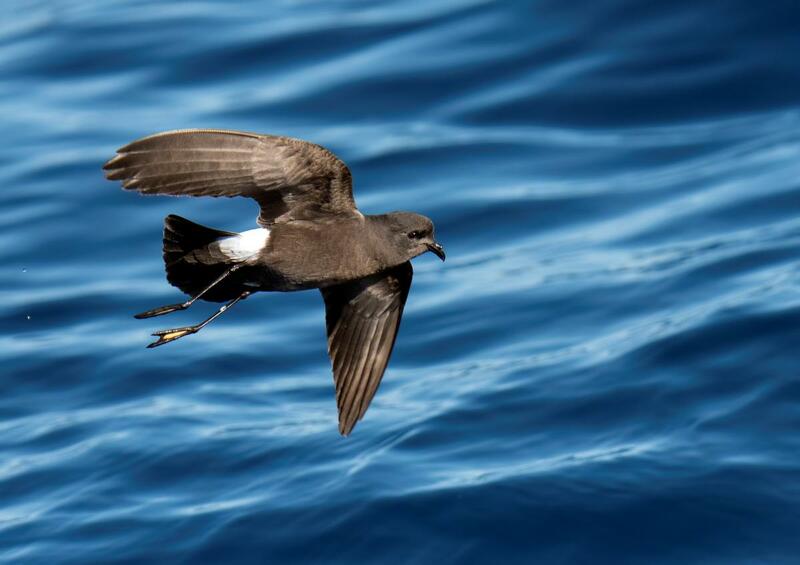 With more observers spending time further offshore in recent years, including specialised birding trips, Wilson’s storm petrels have become better known, and are regularly seen on passage. 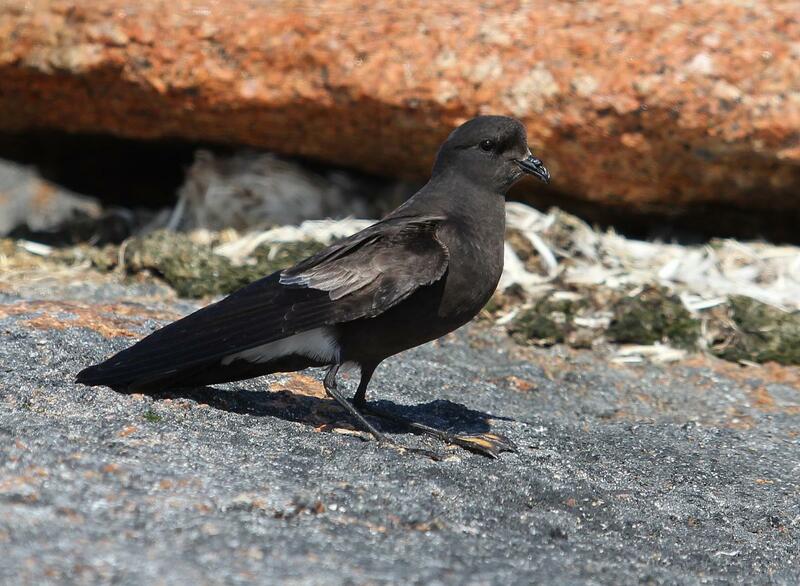 Wilson’s storm petrels are mainly black with a white band across the rump and a grey bar on the inner part of the upperwing. 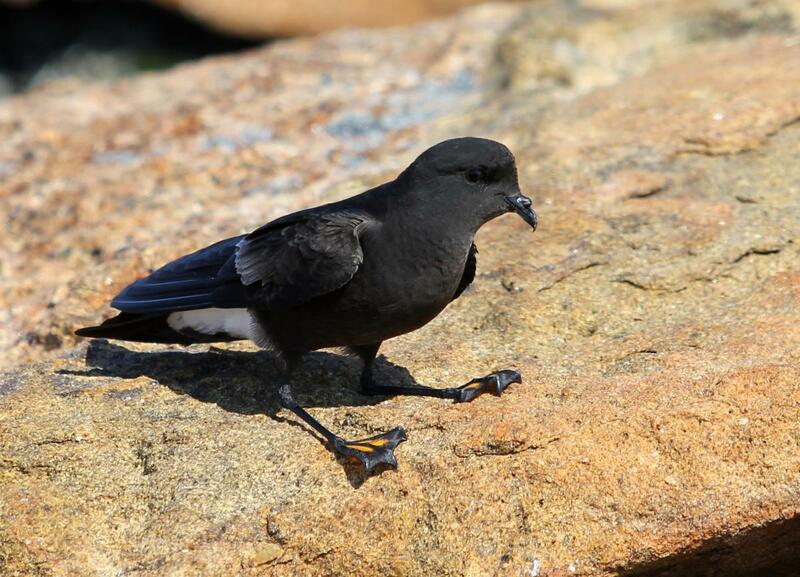 Their bills and legs are black, with bright yellow webs between the toes which can sometimes be seen when close. 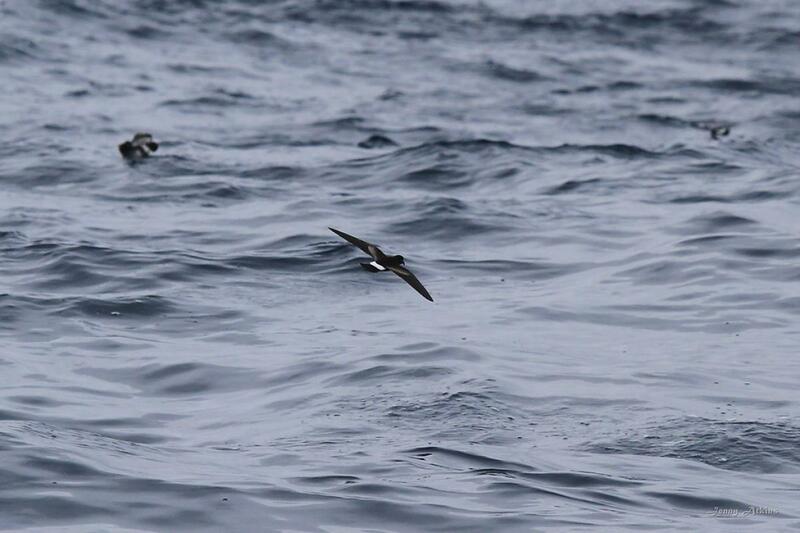 They fly over the water with steady wing beats and may patter with their feet or run off the sea-surface. 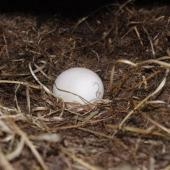 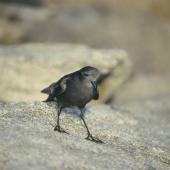 Voice: the main call is a loud wheezy or nasal grating aark aark given by birds on the ground in their nesting colonies. 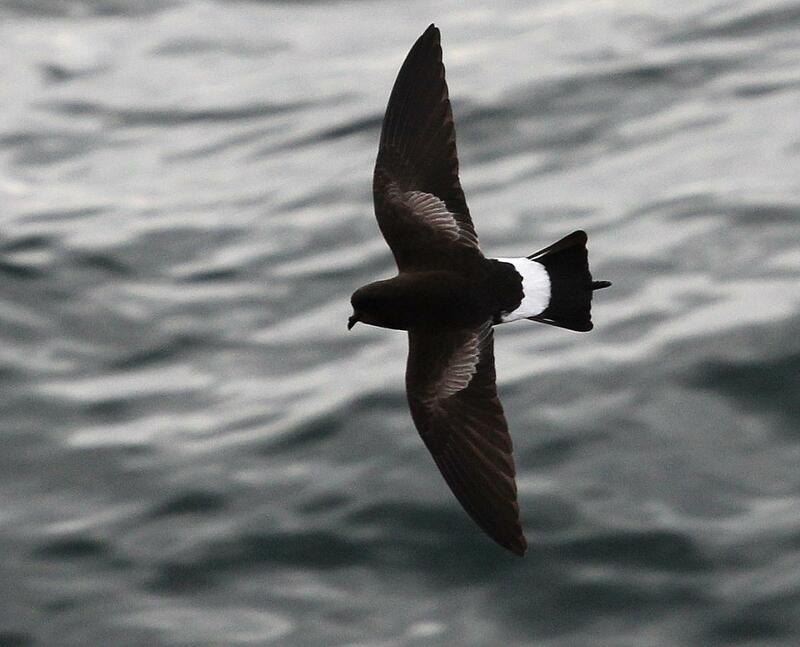 At sea they are generally silent but quiet low squeaks are sometimes heard from birds feeding in flocks. 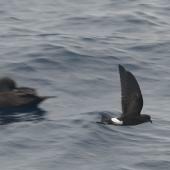 Similar species: there are several other species of black-and-white storm petrels but they do not usually have an entirely black body and under wing. 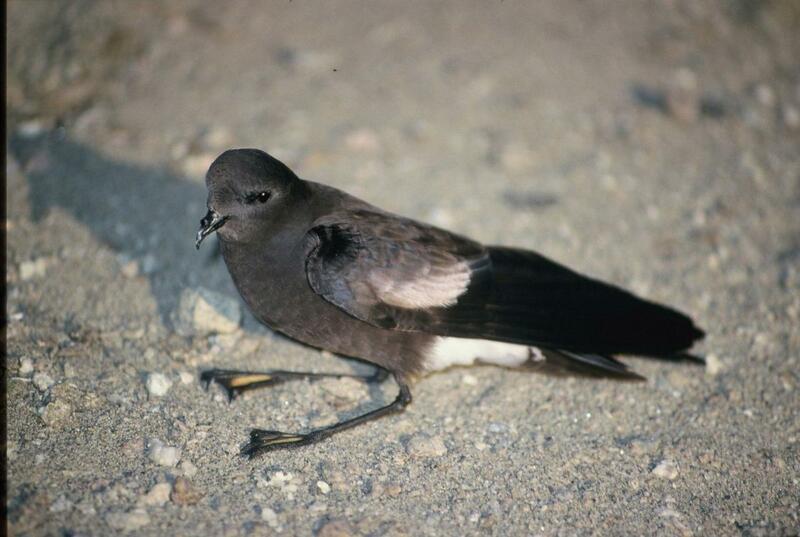 A few white-bellied storm petrels become almost or entirely black, but when they have an entirely black underside, the rump is almost or entirely black also. 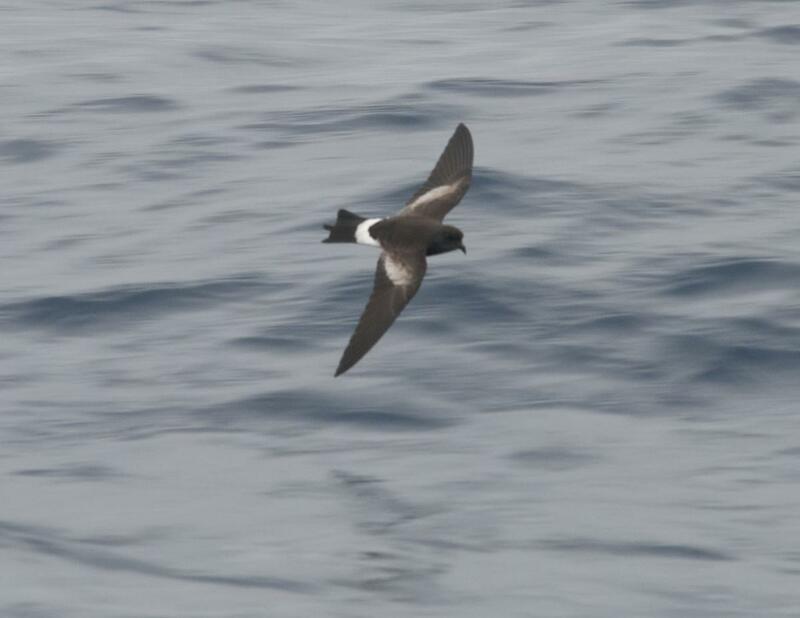 Distant views of birds could be confused with any of black-bellied storm petrel, New Zealand storm petrel, or white-bellied storm petrel, all of which are blackish above with a white rump, and it may not be possible to identify them. 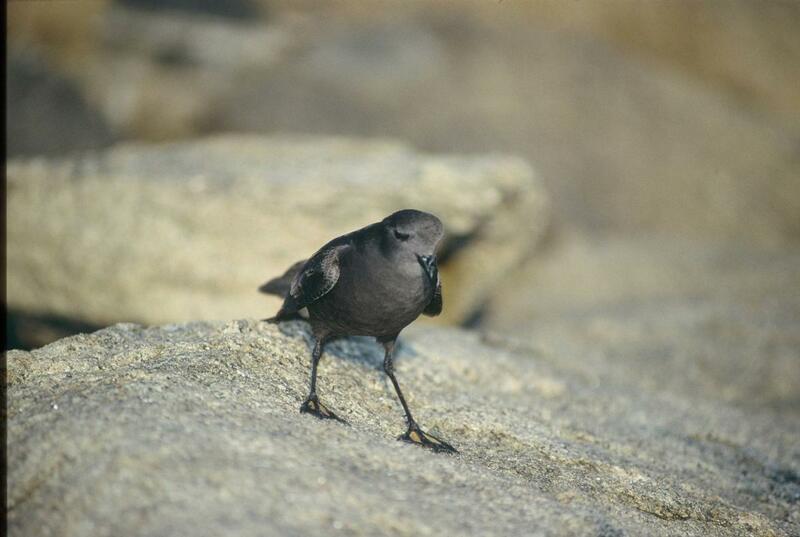 Wilson’s storm petrels breed around Antarctica in ice-free rocky crevices and rocky screes, and feed in open water amongst the pack ice and beyond. 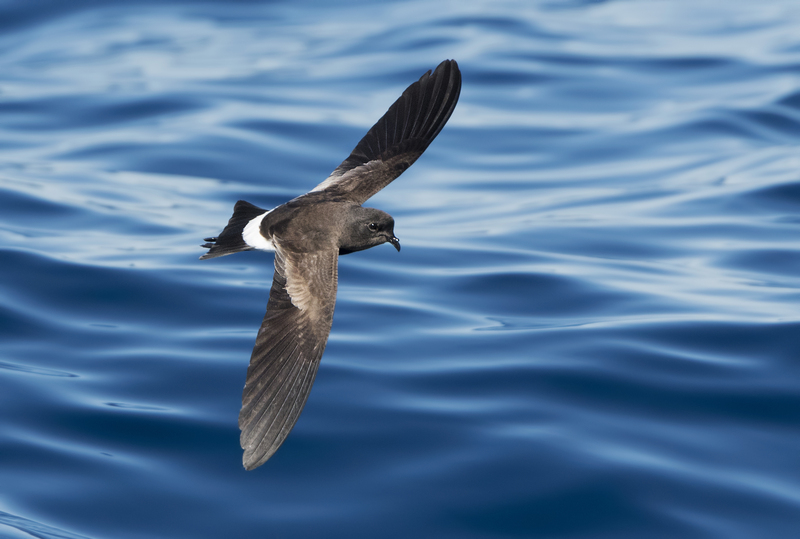 Wilson’s storm petrels are one of the world’s most common birds and it is thought there may be several million pairs of them around Antarctica with 128,000 pairs estimated for the Ross Sea sector. 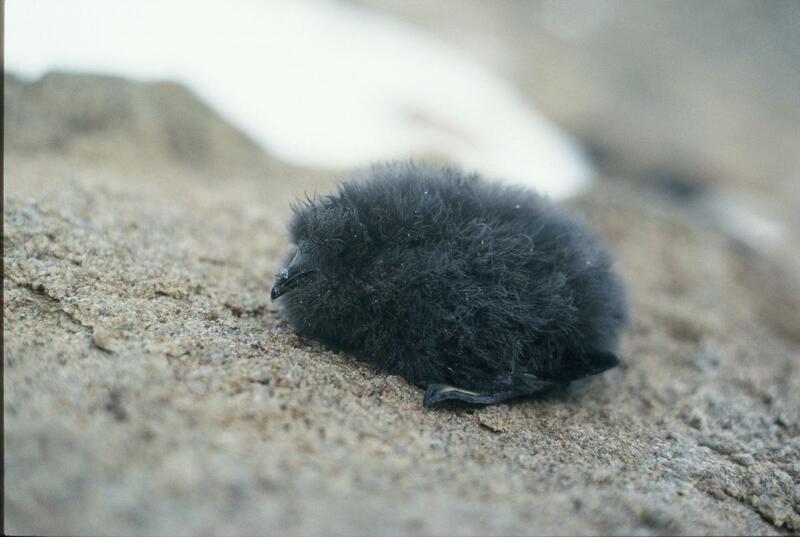 The remote and inhospitable breeding areas probably keep the Antarctic populations safe from predators but those of subantarctic subspecies are vulnerable to rats and cats. 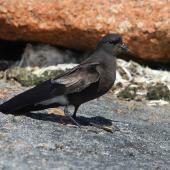 Their greatest threats may be from climate change and pollutants. 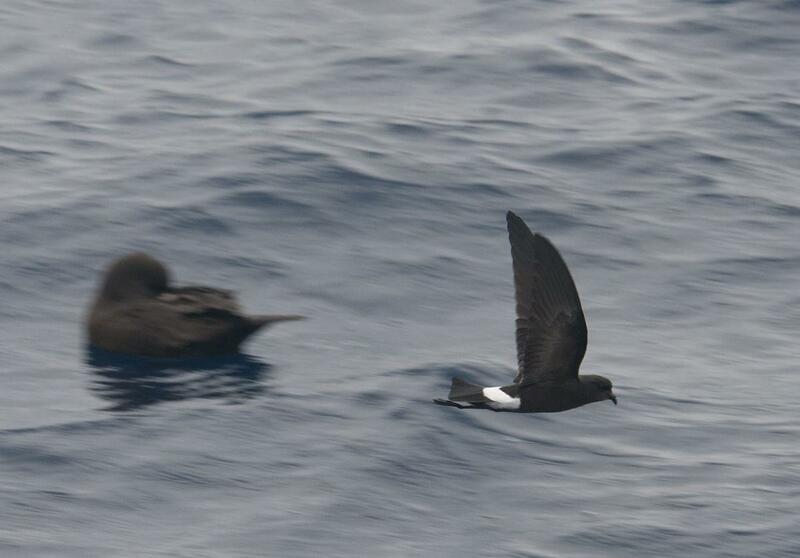 Wilson’s storm petrels are monogamous with pair bonds usually retained from year to year. 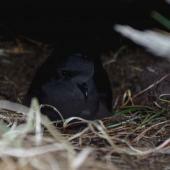 Both parents incubate the egg and tend the chick with the males appearing to feed the chicks more often than the female. 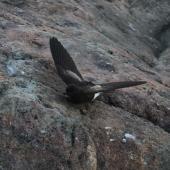 They nest in colonies, utilising crevices in rock, among rock falls or scree slopes. On migration through New Zealand seas, Wilson’s storm petrels are found over deep water near the continental shelf edge and further out, particularly near upwellings. 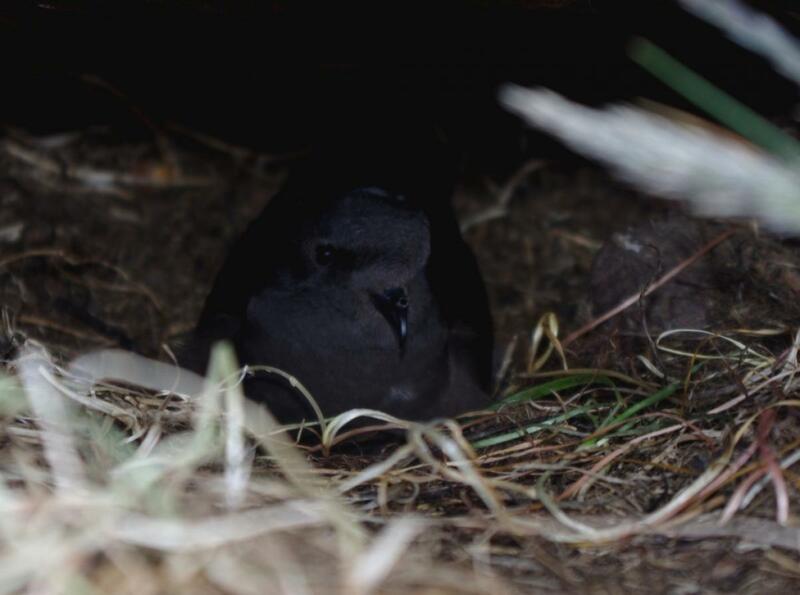 They feed in a typical storm petrel fashion by hovering and pattering slowly over the water picking small prey items from the surface, very rarely making shallow dives. 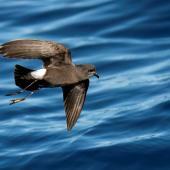 Wilson’s storm petrels take a variety of crustaceans, small fish and squid. 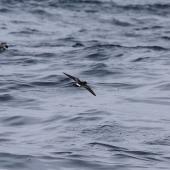 They readily scavenge fishing waste, and were once prominent around whaling operations. 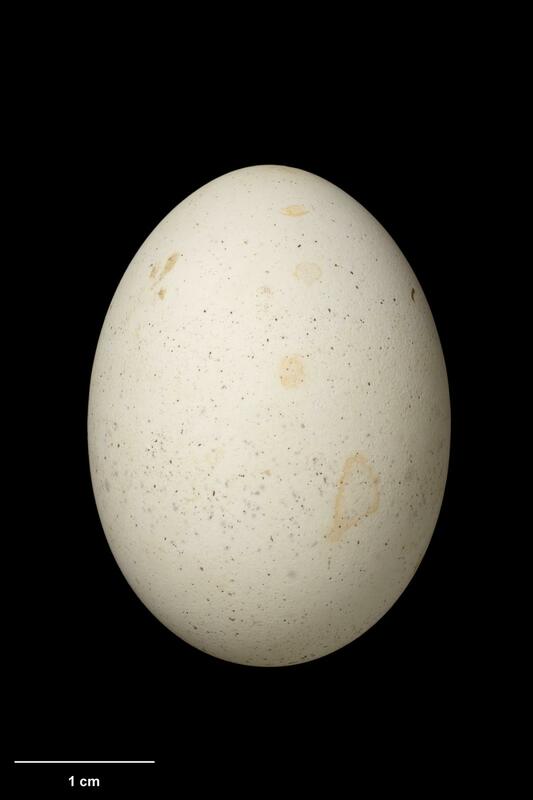 Petyt, C. 2001. 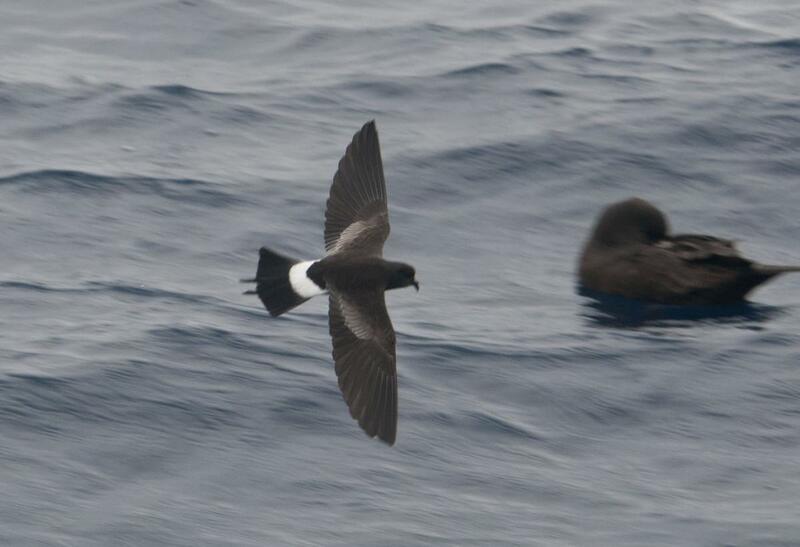 The occurrence of Wilson’s storm petrel (Oceanites oceanicus) in New Zealand waters. 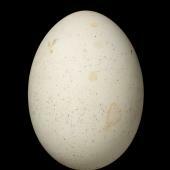 Notornis 48: 54-55. 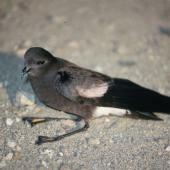 Shirihai, H. 2007. 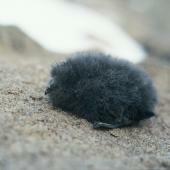 A complete guide to Antarctic wildlife; the birds and marine mammals of the Antarctic continent and the southern ocean. 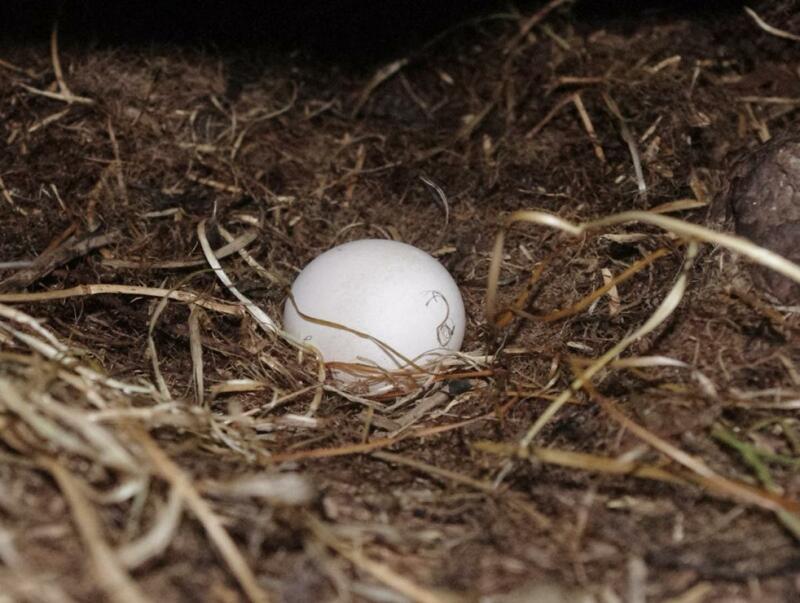 2nd edn. 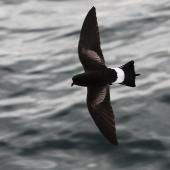 A&C Black, London. 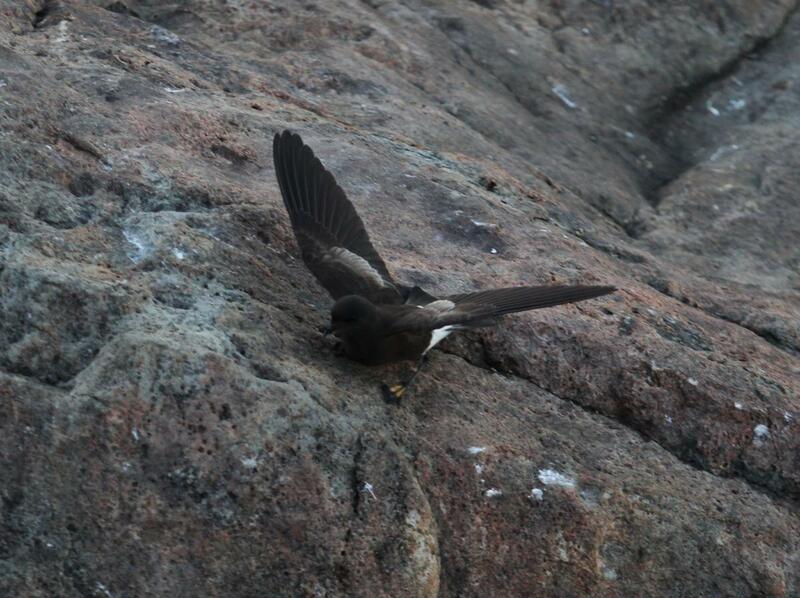 On the ground in rock cavity occasionally a few feathers or moss are used as lining. 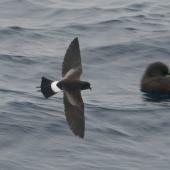 A small, mainly black storm petrel with a prominent white band across the rump and a grey bar on the inner part of the upperwing. 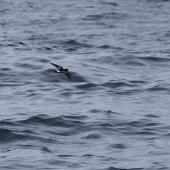 The bill and legs are black, with bright yellow webs between the toes; when over water they fly with steady wing beats and may patter with their feet or run off the sea-surface.